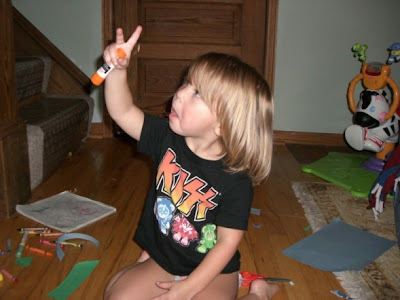 Here is my secret to a stylish child, Band-Tees.com - YES, they are expensive. But, they are the cheapest I have found on the web. 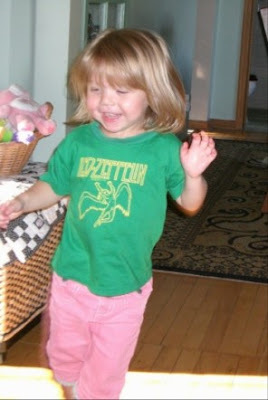 AND I buy them big so they are worn for a bit - Plus, can you deny how CUTE she looks? 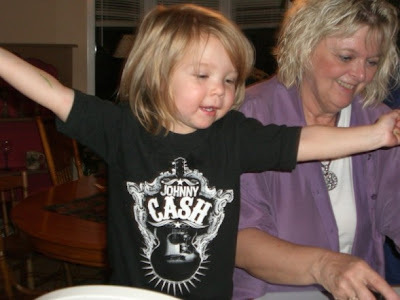 Love that Johnny Cash tee. SHE looks so adorable. I've gotta get me some of those for Ben!! I really love the Johnny Cash one! I buy stuff like this for my friends with kids. I also like the "daddy drinks because I cry" one from tshirthell.com.